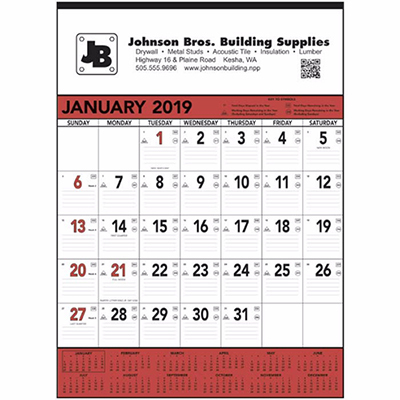 This promotional Celebrate America Calendar is an excellent patriotic giveaway for businesses. It strengthens your brand recall among potential and existing clients. 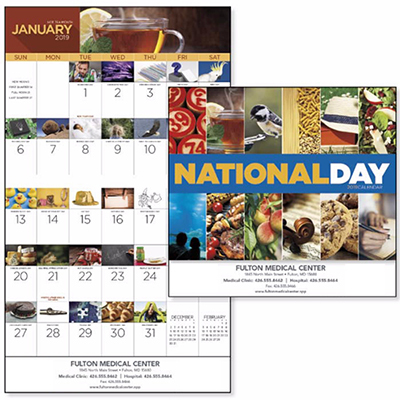 This calendar contains images depicting America’s pride and heritage. 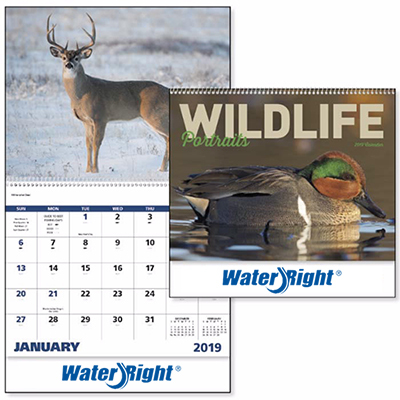 It is an excellent gifting idea for government agencies, tourism boards, and museums. So what are you waiting for? Place your bulk order and save more! 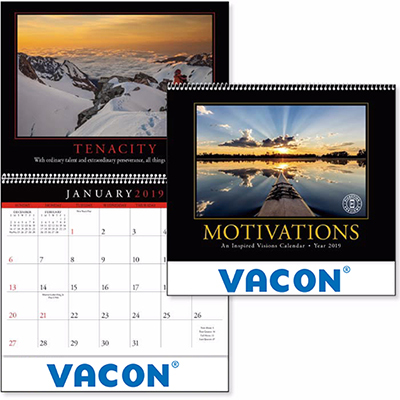 "These calendars are perfect for our office." "A giveaway that showcases American pride and heritage has always been accepted without complaints. And this one was no different. The final product with our logo looked just great. " 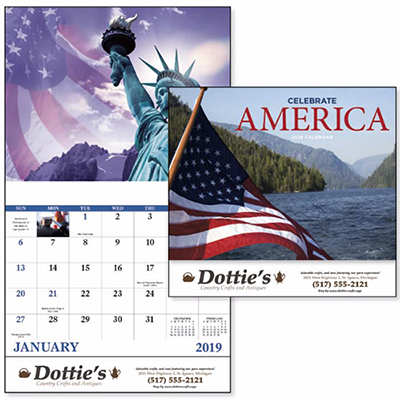 Show your patriotic pride with this calendar!